Breaking the logjam over the execution of the strategic partnership model, Ministry of Defence (MoD), on August 25, giving the much desired major flip to the 'Make in India' in defence, gave its first approval under the 'Strategic Partnership (SP) Model' for the procurement of Naval Utility Helicopters (NUH). Announcing the decision, Ministry in a statement said, "The Defence Acquisition Council (DAC), in a landmark decision today, approved procurement of 111 Utility Helicopters for the Indian Navy at a cost of over 21,000 crores. This is the first project under the MoD's prestigious Strategic Partnership (SP) Model that aims at providing significant fillip to the Government's 'Make in India' programme." In August last year, Indian Navy sent out a Request For Information (RFI) for 111 Naval Utility Helicopters. These choppers will replace the decades' old Chetaks (Allouette III) which are reaching their airframe life. The deal is expected to cost the exchequers around 21,738 crore ($3.2 billion). These choppers will operate from frontline warships and Offshore Patrol Vessels and will also operate from shore for search and rescue operations. The first RFI for NUH was floated in 2010 followed by Request For Proposal (RFP) in 2012 which was cancelled in 2014. Talking about the SP Model, the statement said, "The model has a long-term vision of promoting India as a manufacturing hub for defence equipment thus enhancing self-sufficiency and establishing an industrial and R&D ecosystem, capable of meeting the future requirements of the Armed Forces. 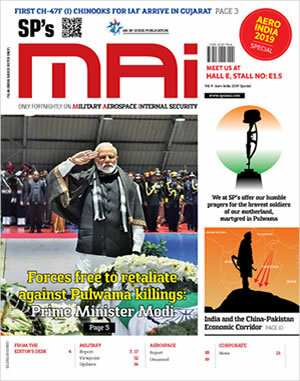 The contract when finalised, would result in a vibrant and wide-spread Defence industrial eco-system in the Indian Aviation Sector with the Private Industry and MSMEs as major stakeholders." The Model provides for indigenous manufacturing of major defence platforms by an Indian Strategic Partner, who will collaborate with foreign original equipment manufacturer, acquire niche technologies and set up production facilities in the Country. 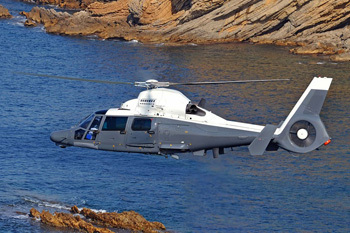 The tender is expected to see Airbus fielding its Panther AS565 and H135M against Russian Ka-226T Naval and Sikorsky's S-76D against similar helicopters from Bell, Augusta Westland (if allowed). Out of 111, 95 helicopters are expected to be manufactured in India. 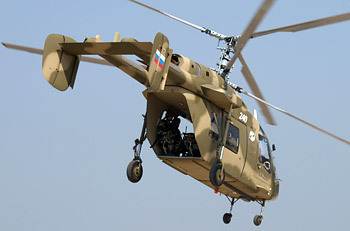 Through an Indo-Russia joint venture, which will manufacture Ka-226T at Hindustan Aeronautics Limited's helicopter plant at Tumkur, Karnataka, India is procuring 200 Ka-226T for Indian Army' light utility helicopters requirement. MoD's decision is just a first step in a long process of selection of Product and Indian SP.